Set of 4. 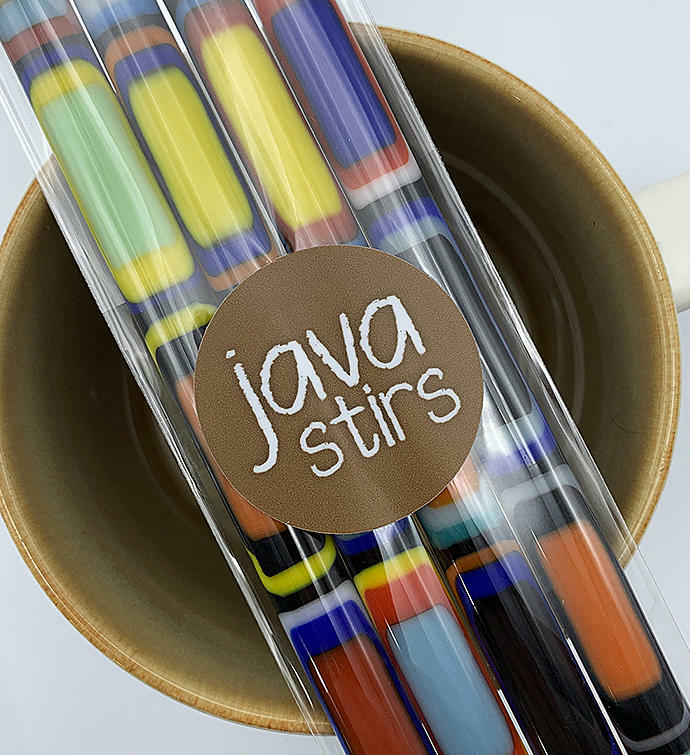 These Java Stirs are handmade by fusing multiple layers of colorful art glass together to provide a quality finished product that is both durable and beautiful. They are environmentally friends as they are reusable as opposed to disposable plastic stirrers or wooden stirrers. 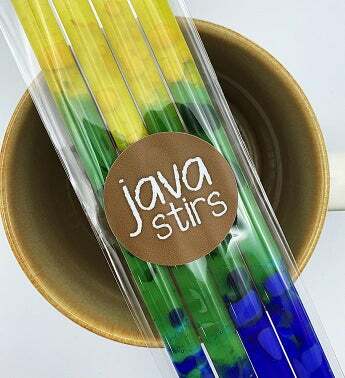 Set of 4 - Java Stirs Pack of fused glass stirrers for coffee, cocktails, etc. Each Java Stir measures approximately 7.25" x .25"